Is is worth to visit Lithuania in 2015! “Continental breakfast travel” blogger says that other tourism portals, like Lonely Planet, Conde Nast Traveller and trivago.co.uk, have all revealed their travel recommendations for 2015: where to go, what to see and which destinations offer the best value. So he brings us 5 places you should visit in 2015 – or whenever really. And the fifth place of this list is taken by Lithuania! Though I haven’t blogged about it recently, Lithuania still holds a fond place in my heart. There are few countries that I feel I’ve seen so much of and still have plenty left to see. 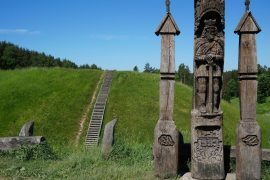 Despite being a pretty small place, Lithuania’s attractions are endless: the natural beauty of the Curonian Spit, the impressive Trakai Island Castle, the bizarre Hill of Crosses, the old world charm of Vilnius and the controversial Grūtas Park. But for me, the real appeal of Lithuania is its history. 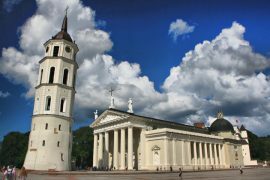 Shaped over time by both Germanic and Russian influences but with its own strong identity, Lithuanian history is in parts both devastating and uplifting. 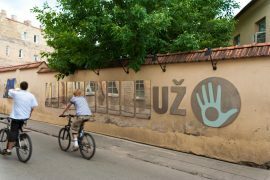 The Museum to the Victims of Genocide in Vilnius is not to be missed. Top tip: Basing yourself in Klaipeda, head out to explore the Curonian Spit. Climb up to the top of the Parnidis Dune, explore Germanic Nida, and then bike along the coast to Juodkrante.